R+W is a dedicated coupling manufacturer that aims to provide micrometre-perfect, top quality, high-performance metal bellows couplings, elastomeric couplings, disc pack couplings, and torque limiters for the global market. It divides its products into two ranges, White precision couplings and Black industrial couplings. “Coupling requirements in servo drives and other precision systems are extremely diverse but always technically demanding,” says Ian Carr of Drive Lines, which represents R+W in the UK. “Speed, precision, flexibility, reliability and torsional stiffness are the basic requirements, but, depending on the application, the couplings may also need to offer elasticity, longevity, cost-efficiency etc. Included in the R+W White range are metal bellows couplings (5Nm-10,000Nm, torsionally rigid and flexible), miniature bellows couplings (0.05Nm-10Nm, offering zero backlash and high speeds), elastomeric couplings (0.5Nm-25,000Nm vibration damping and backlash-free), safety couplings (0.1Nm-2,800Nm, precise torque overload protection) and line shafts (10Nm-25,000Nm available in lengths to suit). 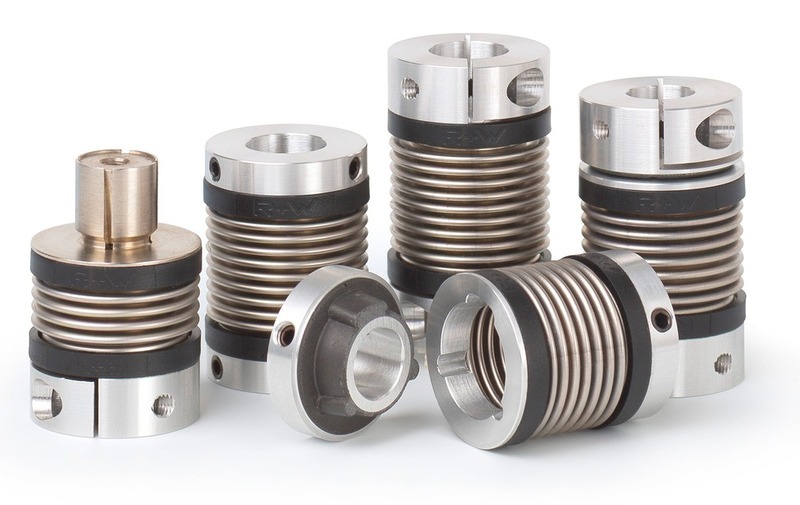 Each design of precision coupling has characteristics that address particular drive issues, some of which are reviewed below. Robots and robotic-style automation are seen as the next generation technology for improving production efficiency. They use high-precision servo motors for perfect positioning and dynamic processing, while typically torsion-resistant metal bellows couplings are specified for the high-precision transfer of dynamic forces. The bellows can also serve to compensate for shaft misalignments and thus protect sensitive servo motors. R+W can even supply special robot attachment flanges if required. Automation systems often also include safety couplings, specified to trip out if a set torque is exceeded, say when a blockage occurs in a pump or a product jams against a side wall. Linear actuators are used in many workstations, often in automated product positioning roles and frequently at high speeds. Synchronisation and positional accuracy can be maintained if these are fitted with a backlash-free and non-wearing miniature bellows coupling in their drive train. Line shafts could be used to couple two or more parallel actuators, allowing them to share a common drive motor, while a torsion-resistant coupling may be used to damp out vibrations emanating from the drive motor. Medical technology is developing on many fronts, and with patients’ health and wellbeing involved there is absolutely no room for error. 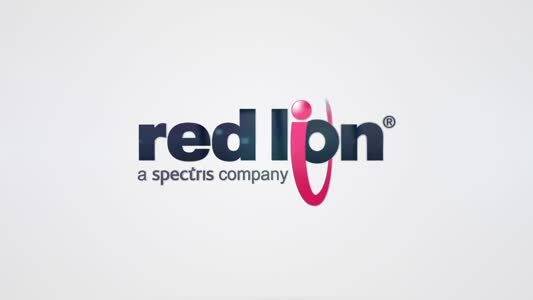 R+W couplings are fitted in many medical machines, such as those used for proton/ion beam therapy in which a rotating beam is used to build up three-dimensional images of tumors. Backlash-free torsionally rigid coupling ensure that the motorised motion axes attain the highest levels of positional precision. Modern surgical tables can be adjusted in up to six different directions to ensure optimum positioning of the patients. Their miniaturised precision drives can be protected from torque overload or impact forces using safety breakaway couplings such as those made by R+W. These couplings’ extremely low inertia torque and compact design help keep the size of the drive train down, while also reducing the chance of damage and therefore loss of valuable surgical time. Today medical laboratories are busier than ever and must therefore be fitted out with reliable equipment so that efficiency can be maintained. R+W supplies backlash-free, vibration-damping elastomeric couplings for high-speed laboratory centrifuges to protect the drum and rotor against drive vibrations at speeds above 50,000 rpm, and thus increase their service life. The aerospace industry insists on precision performance, superb reliability and minimal weight for all its critical engineering components, and it often turns to R+W for its couplings. For instance, exterior equipment on commercial aircraft experiences temperatures between 30°C at startup and -60°C at cruising altitude, so R+W has developed special bellows couplings for use in aircraft control surface drives. When asked for a weight saving lift component the company designed a bespoke line shaft which combined extensive use of advanced composite materials with a custom, weight-optimised flange connection. First class passenger cabins have some extra little luxuries. To help minimise consequent weight accumulation R+W reduced the weight of its compact safety couplings by 70%, so that they could be used on the drive that folds away passengers’ infotainment screens.